The Slovenian National Security Service arrests publicist Janez Janša and the security authorities of the YPA arrest Ensign Ivan Borštner. On 5 June, David Tasić gets arrested and charges are laid against the Mladina editor Franci Zavrl. Three days after the first arrests a Committee for the Protection of Human Rights is created. Tens of thousands of people attend a gathering in Ljubljana’s Liberation Square against the arrests of Janša, Zavrl, Tasič and Borštner. 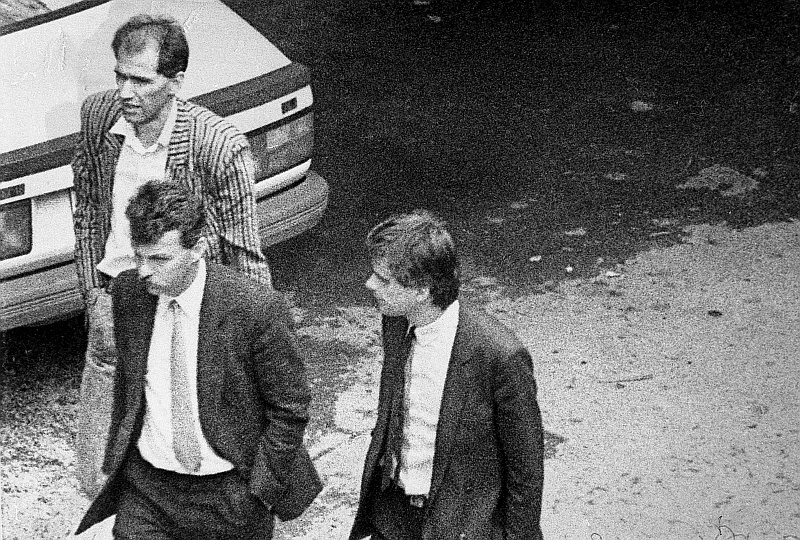 A court trial, held at a military court in Ljubljana, against Janez Janša, Franci Zavrl, David Tasič and Ivan Borštner starts on 18 July 1988 and ends on 27 July with conviction of all four. The conflict between the Yugoslav People’s Army (YPA) and Slovenia continued to worsen after the mid-1980. In March 1988, the military chiefs of staff labelled liberalisation in Slovenia as counter-revolutionary. This evaluation referred, among other, to writings criticising the YPA, to which Mladina magazine was one of the main contributors: a series of articles appearing in the weekly publication revealed the Army’s special social status (the YPA as ‘the 7th republic’), the aim being for the Army to come under civilian control and undergo a complete reorganisation (increasing investment in arms, ethnically homogenous units, civilian compulsory military service). According to the YPA leaders, the Slovenian authorities were not efficient enough in preventing such action, and therefore the Army decided to act alone and declare a state of emergency in Slovenia. The Army’s next move came in summer 1988, when it held a court martial against four Slovenes (Janez Janša, a youth worker,and Mladina publicist; David Tasić and Franci Zavrl, Mladina journalists; and Ivan Borštner, a YPA staff sargeant). To defend them, a human rights protection committee was founded, led by Igor Bavčar. The committee went on to become the most powerful civil society organisation in the so-called ‘Slovenian Spring’ period. Joining the committee were a few hundred thousand individual members and over a thousand organisations. 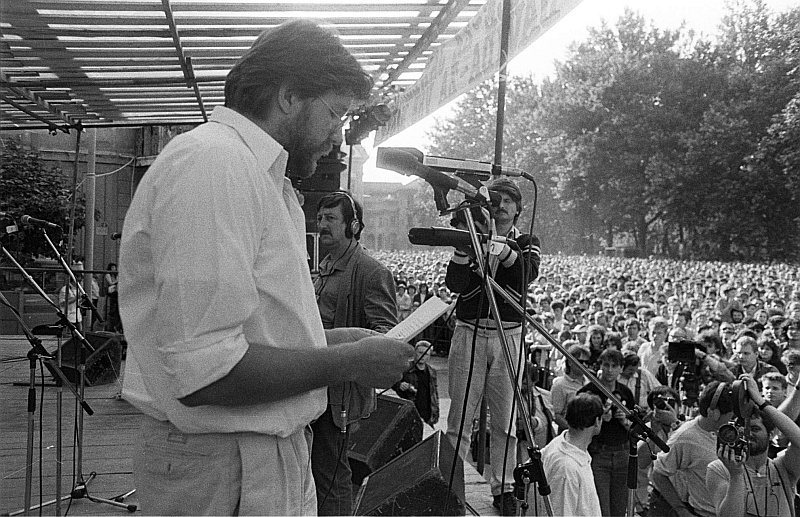 The committee organised various forms of protest, which culminated in a gathering on 21 June 1988 in Ljubljana’s Liberation Square, which was attended by tens of thousands of people. During the process, masses never let up in their protests in front of the military court located on Roška Street in Ljubljana. When the trial was over, the committee pursued its efforts to protect human rights; but internally the organisation was divided, especially on the issue of whether to concentrate only on the protection of human rights, or to take a more active approach and intervene in political action. The leadership of the committee, faced with nascent political pluralism, went on to join the various new parties, and the committee ceased to be active, although it formally existed until April 1990.